Can you imagine walking into your spare bedroom or garage and saw this….AN AWESOME STOCKPILE!!! Over the past 5 years I really took an interest in couponing, and I am GLAD I did….I can’t even tell you how much money I have saved over the past 5 years!! But what I had to learn was when to BUY, when to walk AWAY and when to STOCKPILE an item!!! 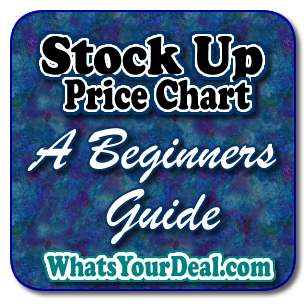 Here at WHATSTOURDEAL, we have developed an AWESOME STOCK UP PRICE CHART…This list will assist in the BUYING of items for your STOCKPILE!!! 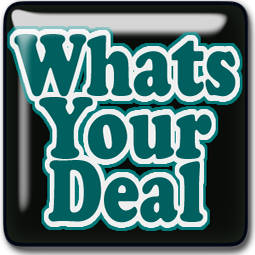 Click the IMAGE to be taken to the awesome STOCK UP price chart….. This worksheet is an ALL-in-ONE price chart and inventory tracker. Everything is grouped accordingly and alphabetically sorted for your convenience. Current Inventory….The exact number of items you currently have in your STOCKPILE. Goal Inventory….The goal for your stockpile. My stockpile goal is to obtain 1 year worth of items for my Family. Overtime, you will have determined a desired amount of each item used monthly. To determine the GOAL Inventory amount…Take the number of a certain item that are used monthly and times that by 12 (1 year) and this total is your GOAL inventory amount. CLICK HERE to OPEN the google document. Click FILE (upper left corner), Click DOWNLOAD as….you can download in many different formats, EXCEL OpenOffice, etc. or YOU can MAKE A COPY of the worksheet under FILE and add this to your google documents. Now if you are having printing issues….CHECK out this great ARTICLE with some AWESOME printing tips…. 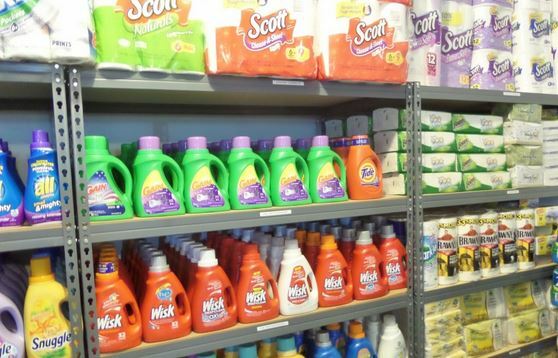 SET A GOAL…and stick to it….WATCH YOUR STOCKPILE GROW with EASE…..